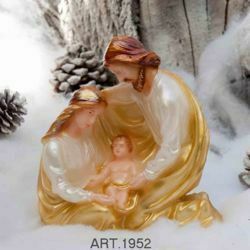 Wide selection of Christmas candles, holiday decorations, Candle centrepieces in small and large sizes, available in many colours and characteristic shapes such as as Christmas Trees, Angels and Putti, Jesus, Pinecones, Nativity Scene, Santa Claus, Stars, Holy Family, Grapes and Ears of Corn, Holly, gift boxes. 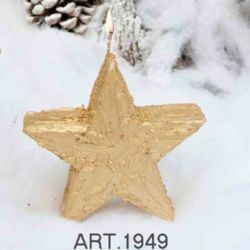 Original ornaments for homes and tables, as gift ideas, our Christmas candles are produced with paraffin and wicks in pure cotton and decorated by hand by an Italian laboratory with more than 100 years of history. 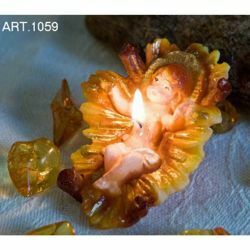 Excellent quality/price and Quality 100% Made in Italy. h 27 cm (h 10,6 in.). 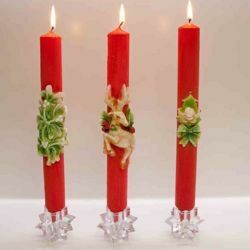 Three Christmas Candles, red, decorated by hand, with first quality paraffin and pure cotton wicks. h 18 cm - diam 13 cm (h 7,1 in. - diam 5,1 in.). 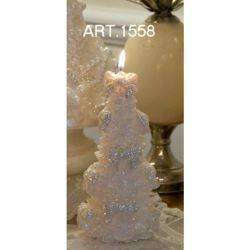 Christmas Candle decorated by hand, with first quality paraffin and pure cotton wicks. h 36 cm - diam 25 cm (h 14,2 in. - diam 9,8 in.). Christmas Candle, white red and green, decorated by hand, with first quality paraffin and pure cotton wicks. 17x11 cm - h 15 cm (6,7x4,3 in. - h 5,9 in.). 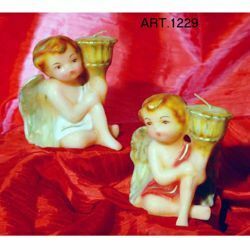 Christmas Candle decorated by hand, with first quality paraffin and pure cotton wicks. 18x8 cm - h 21 cm (7,1x3,1 in. - h 8,3 in.). 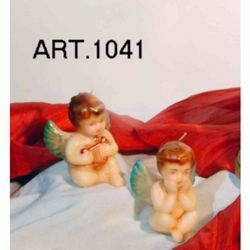 Christmas Candle decorated by hand, with first quality paraffin and pure cotton wicks. 25x16 cm (9,8x6,3 in.). 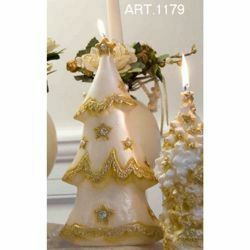 Christmas Candle, gold and ivory, decorated by hand, with first quality paraffin and pure cotton wicks. h 23 cm - diam 10 cm (h 9,1 in. - diam 3,9 in.). 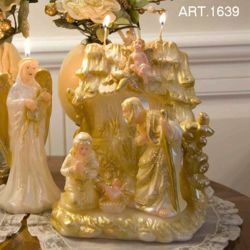 Christmas Candle, gold and ivory, decorated by hand, with first quality paraffin and pure cotton wicks. h 11,5 cm - diam 12 cm (h 4,5 in. - diam 4,7 in.). 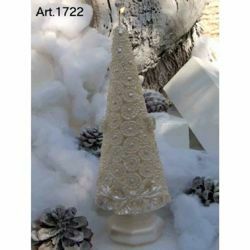 Christmas Candle decorated by hand, with first quality paraffin and pure cotton wicks. h 41 cm - diam 15 cm (h 16,1 in. - diam 5,9 in.). 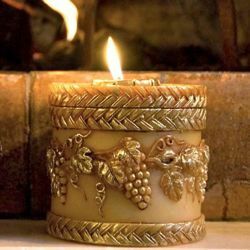 Christmas Candle, gold and ivory, decorated by hand, with first quality paraffin and pure cotton wicks. h 24 cm - diam 10 cm (h 9,4 in. - diam 3,9 in.). 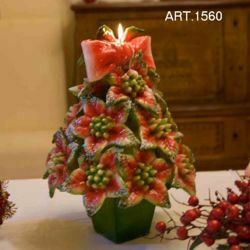 Christmas Candle decorated by hand, with first quality paraffin and pure cotton wicks. h 29 cm - diam 17 cm (h 11,4 in. - diam 6,7 in.). 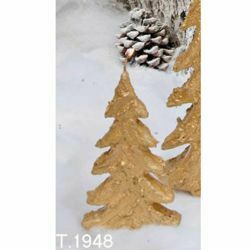 Christmas Candle, gold, decorated by hand, with first quality paraffin and pure cotton wicks. h 17 cm - diam 10 cm (h 6,7 in. - diam 3,9 in.). 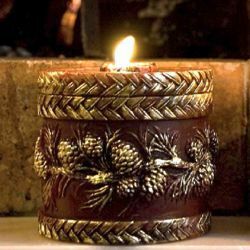 Christmas Candle, gold, decorated by hand, with first quality paraffin and pure cotton wicks. h 29 cm (h 11,4 in.). 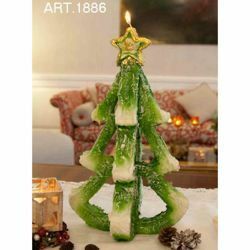 Christmas Candle, green with glitter, decorated by hand, with first quality paraffin and pure cotton wicks. h 19 cm (h 7,5 in.). 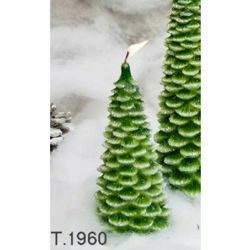 Christmas Candle, green with glitter, decorated by hand, with first quality paraffin and pure cotton wicks. h 25 cm - diam 13 cm (h 9,8 in. - diam 5,1 in.). Christmas Candle decorated by hand, with first quality paraffin and pure cotton wicks. h 30 cm - diam 19 cm (h 11,8 in. - diam 7,5 in.). 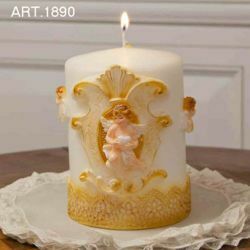 Christmas Candle, gold and ivory, decorated by hand, with first quality paraffin and pure cotton wicks. h 29 cm - diam 11 cm (h 11,4 in. - diam 4,3 in.). 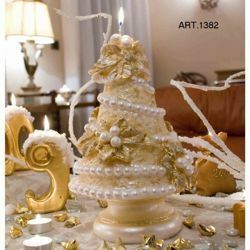 Christmas Candle, gold and ivory, decorated by hand, with first quality paraffin and pure cotton wicks. h 19 cm - diam 8 cm (h 7,5 in. - diam 3,1 in.). 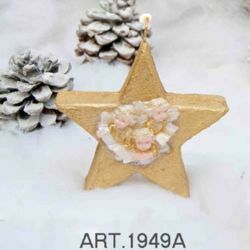 Christmas Candle, gold and ivory, decorated by hand, with first quality paraffin and pure cotton wicks. h 28 cm (h 11 in.). 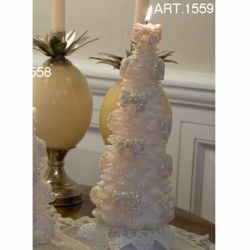 Christmas Candle decorated by hand, with first quality paraffin and pure cotton wicks. h 37 cm - diam 22 cm (h 14,6 in. - diam 8,7 in.). 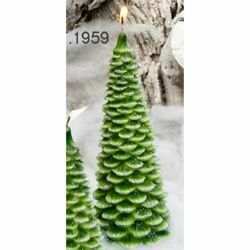 Christmas Candle, green and white, decorated by hand, with first quality paraffin and pure cotton wicks. h 13 cm (h 5,1 in.). 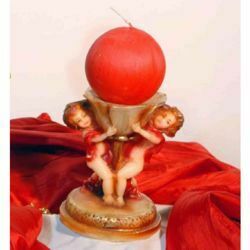 Christmas Candle decorated by hand, with first quality paraffin and pure cotton wicks. h 24 cm - diam 13 cm (h 9,4 in. - diam 5,1 in.). 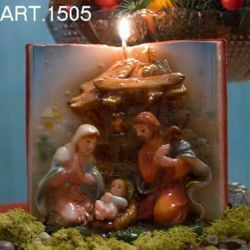 Christmas Candle decorated by hand, with first quality paraffin and pure cotton wicks. h 10 cm (h 3,9 in.). 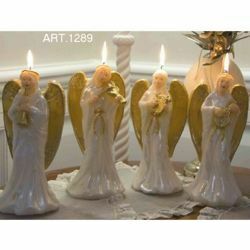 Christmas Candle decorated by hand, with first quality paraffin and pure cotton wicks. 9x6 cm - h 5 cm (3,5x2,4 in. - h 2 in.). 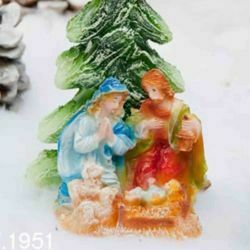 Christmas Candle decorated by hand, with first quality paraffin and pure cotton wicks. 12x8 cm (4,7x3,1 in.). 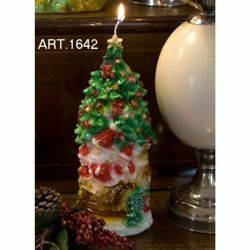 Christmas Candle decorated by hand, with first quality paraffin and pure cotton wicks. h 9 cm - diam 8 cm (h 3,5 in. - diam 3,1 in.). Christmas Candle decorated by hand, with first quality paraffin and pure cotton wicks. 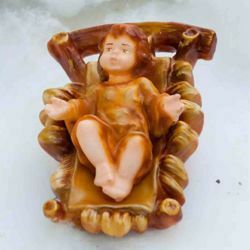 diam 16 cm (diam 6,3 in.). 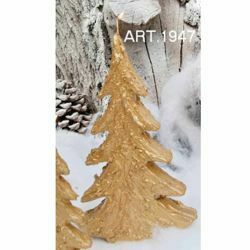 Christmas Candle, gold, decorated by hand, with first quality paraffin and pure cotton wicks. 11x11 cm - h 3 cm (4,3x4,3 in. - h 1,2 in.). 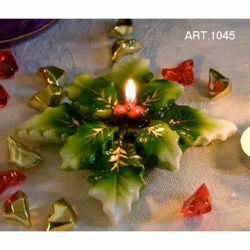 Christmas Candle, green and red, decorated by hand, with first quality paraffin and pure cotton wicks.